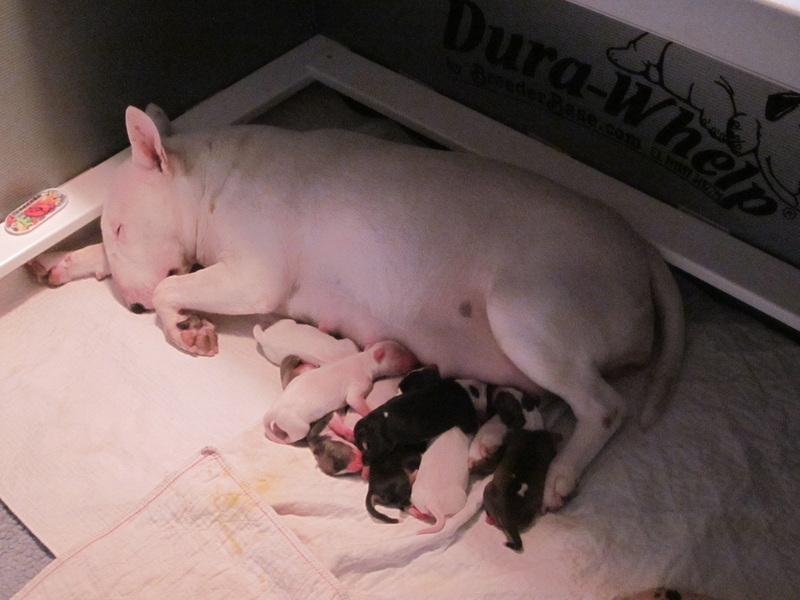 9 puppies - 4 girls and 5 boys, born August 10, 2015. Pippi is stellar mom and everyone's doing great! We'll be carrying on the Puppy Culture tradition with this litter, plus adding a few new things, such as early tracking/nosework training. If you'd like to follow the adventures of this litter, subscribe to our blog at www.puppyculturestories.com. We pour our hearts into our puppies and spend enormous amounts of time training and raising them to be self-directed enrichment seekers. Because of the way we rear our puppies, it takes a special home to give our puppies the kind of interactive and stimulating life they've been raised to expect. We're always looking for puppy homes with forward thinking people who will carry on our enrichment and training program. 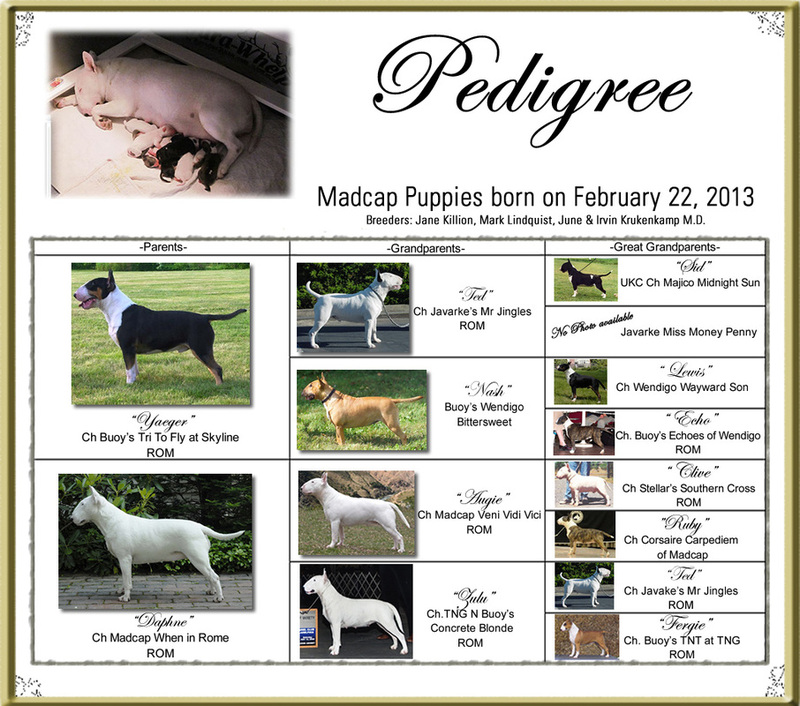 Please read our "About Madcap Puppies" page and also visit the Puppy Culture website. If you think you'd like to be part of our Madcap/Puppy Culture family, please do fill out a puppy application - we'd love to hear from you! 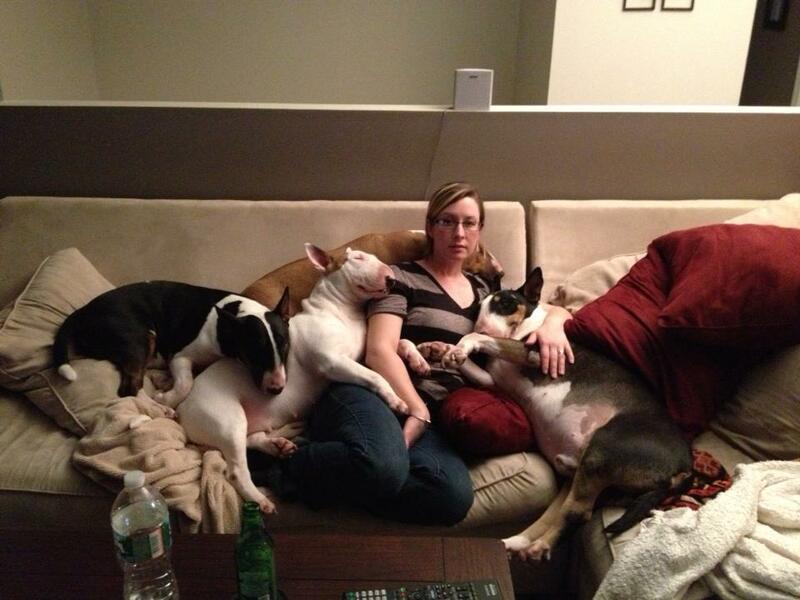 you need to watch the film "Puppy Culture." Daphne and Yeager's puppies have all been placed and are busy in their new homes. Scroll down to read more about this litter. Yeager (on right) thinks being a dad is exhausting! Click Below To See Video Of Yeager! 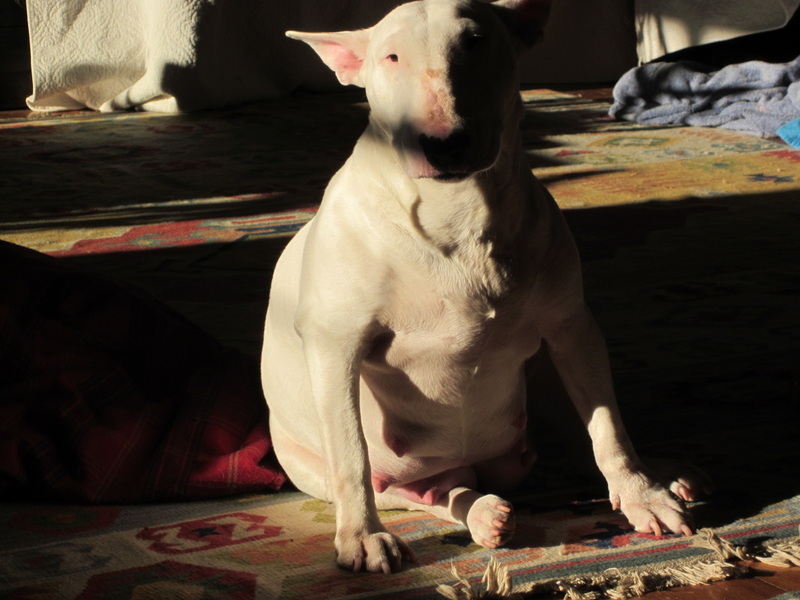 Click Below to See Video of Daphne!